• Blue Sky cleans most windows by hand using soap, water, squeegee, and lint free towel. 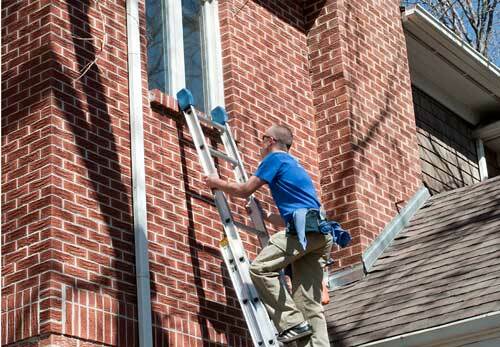 • Once the window is cleaned, we will wipe off the window sill and remove any cobwebs from around the window frame. • If we cannot access an outside window safely from a ladder, we will use our high quality water-fed pole and purifier system. This system allows us to clean up to 3 ½ stories from the ground using purified water that does not leave spots on the glass when it dries. I was very impressed with your cleaner’s professionalism and friendliness. Services We Offer. Call Today For More Information!